This 1929 Spanish Mission style theatre was designed by architect Elmer F. Behrns. The theatre was built to play “talkies” or the new talking motion pictures. A stage was constructed for vaudeville acts. Elmer Behrns was a nationally known architect and a Crystal Lake resident. He designed the Chicago and Tivoli theatres in Chicago, the Arcada in St. Charles, and the Egyptian Theatre in DeKalb, among many other theatres and buildings in the area. The exterior façade is constructed of brick with terra cotta embellishments. The terra cotta was manufactured at the local American Terra Cotta and Ceramic Company factory. The Spanish theme was carried through to the theatre’s interior, as evidenced by the Moorish Villages at each side of the stage. The villages boast stairs, balconies, arched windows and adobe roof tiles. The lobby floor is a tile mosaic work of art. Other interior adornments include arched doorways, stained glass windows, wrought iron chandeliers, and tiny balconies. Total construction cost was nearly $200,000. Much of the original investment was raised through the issuance of common and preferred stock in the Crystal Lake Theatre Building Corporation, which was spearheaded through the efforts of local resident, Edward Kirchberg. Margaret Gracy was the first manager of the El Tovar Theatre. The theatre operated for many years, showing both silent movies and “talkies”. The Vaudeville stage of the 1930’s featured well-known entertainers such as Gene Autry, George Goebel and Max Terhune. In later years the building was known as the Lake Theatre and Showplace Theater. Through the years, the building’s condition deteriorated. Without a family named Raue, the historic theatre on Williams Street would still be dark, empty and closed. Ben Raue operated a jewelry and hardware store in downtown Crystal Lake. Ben was very active in the community. He served two terms as mayor, was president of Home State Bank, and was the first president of the Crystal Lake Park District Board of Directors. None of Ben’s four children married. There are no living descendants of Ben Raue, but his legacy lives on through a generous monetary contribution of the Raue family. Ben’s last surviving child, Lucile, passed away in 1994. Lucile Raue willed the remainder of the Raue estate to be used for the benefit of the community. Money from the Raue estate was used to purchase and restore the old theatre building. The vision was to rehabilitate the building to create a visual and performing arts center. 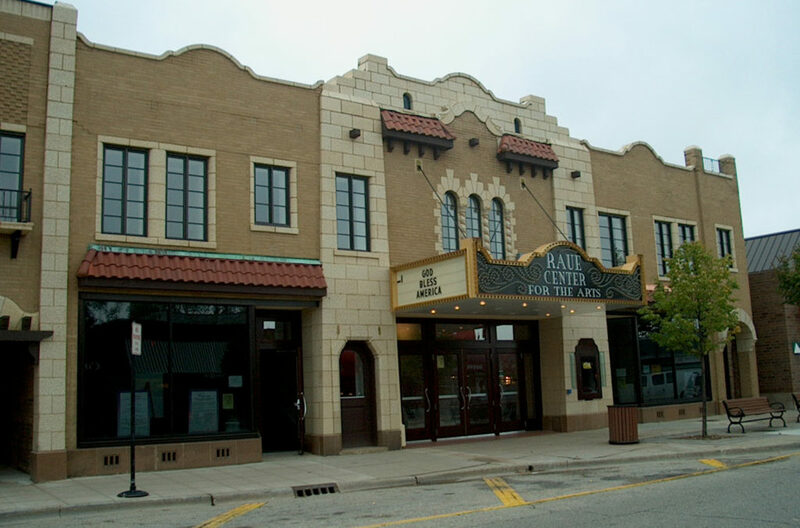 The El Tovar Theatre was renamed the “Raue Center for the Arts.” The name honors the importance of the Raue family to the community of Crystal Lake while impeccable renovations have maintained the beautiful and historic character of this one-of-a-kind building as a valuable treasure for the City of Crystal Lake.